Waterfall Info: This low-flow waterfall is on an unnamed stream that spills down the north rim of Tallulah Gorge and enters the Tallulah River near the top of Oceana Falls. 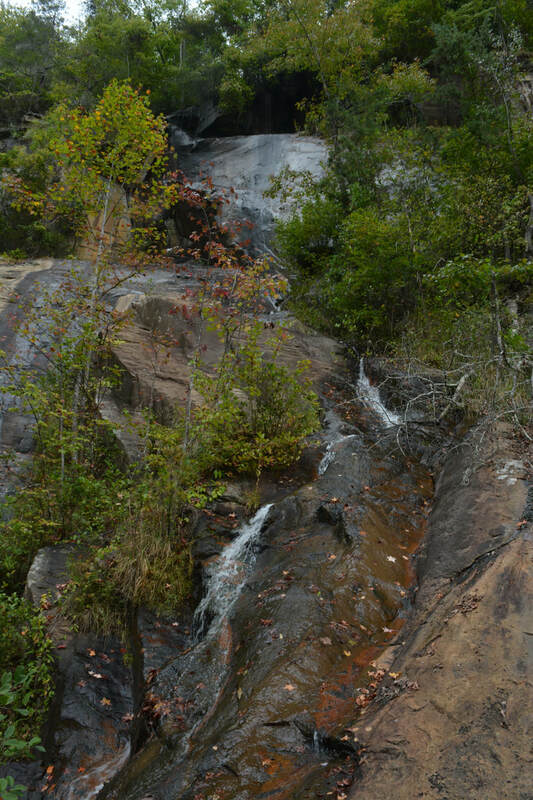 Although Caledonia Cascade is often cited as Georgia's second-tallest waterfall, it really is a series of smaller waterfalls and cascades. Access Info: You can see the lower section of Caledonia Cascade from the Gorge Floor Trail. In wet weather, you may see parts of the waterfall from Overlooks 8, 9, and 10 along the South Rim Trail.